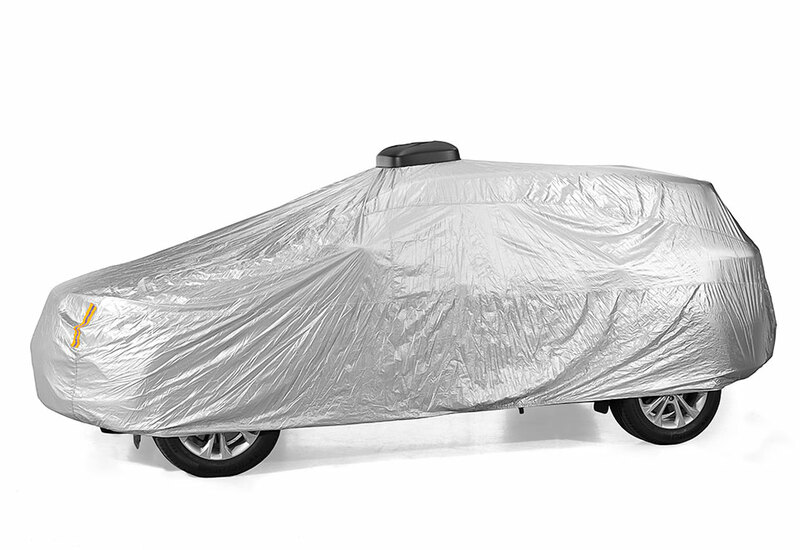 The Automatic Solar Car Cover makes it easy to protect your car 's finish. 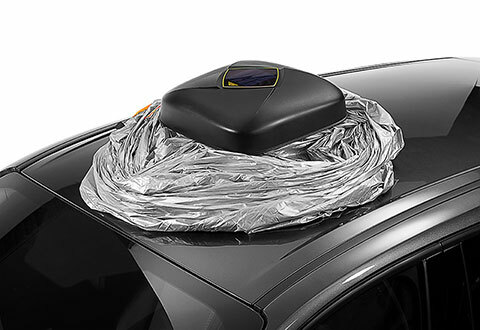 It attaches to the roof with built-in suction cups. Use the handy remote to unspool or rewind the cover in 30 seconds. The durable, washable polyester material protects your car from scratches, sunlight, UV rays, rain, frost, tree sap, bird droppings, dust and grime. Operates up to 30 days on a full charge (15 days without sun). 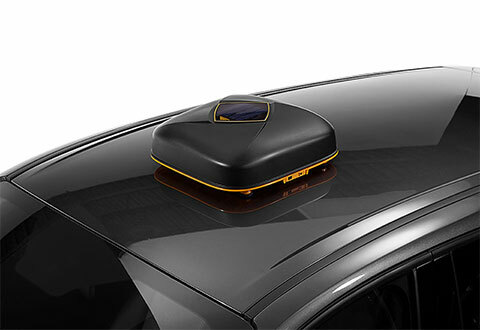 Fits most sedans, hatchbacks and coupes up to 200” in length. 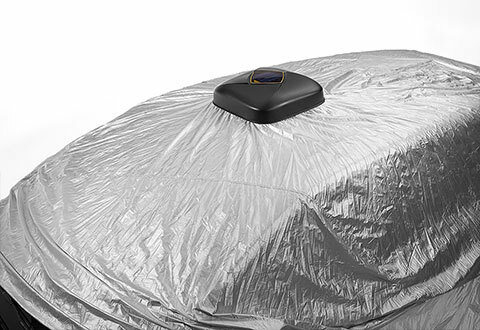 The Automatic Solar Car Cover protects your car from the elements with a durable, washable, fully breathable polyester material that deploys and retracts at the touch of a button.